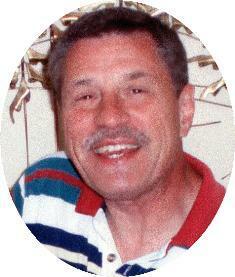 Lewis S. “Lew” Apel, 62, of North Milwaukee Street, Port Washington died Friday, January 14, 2011 at his residence. He was born in Sheboygan, son of Lloyd and Julia Siporski Apel on June 28, 1948. A graduate of Sheboygan South High School in 1966, he entered the Navy and served three years during Vietnam, Petty Officer 2nd class, sailing the Atlantic Ocean, Caribbean and Mediterranean Seas. Upon his return he continued his education and married Marjorie Olson of Sheboygan on July 22, 1972 at Ebenezer United Church of Christ in Sheboygan. For over 25 years he was a Facilities Planning Manager with Wausau Insurance in Wausau, WI. He later continued working in that field for Zimmerman Design Group of Milwaukee, North Shore Country Club of Mequon and currently at Lakeland College of Sheboygan. He was a member of the International Facilities Management Association and past member of the United Way Summit League and Peace United Church of Christ Council and Education Boards of Schofield, WI. He will be remembered for his love of Lake Michigan, its beauty and scenery; Lionel Trains, Chicago Northwestern Railroad and German Heritage, amongst many others. He will be missed for his creativity, his insight and design. He is survived by his wife Marjorie, three daughters Brenda (Andy) States of Waldorf, MD; Becky (Jason) Miller of Rothschild, WI and Betsy (Kenneth) Walters of Chicago; grandchildren Hunter, Dylan and Tougo, his mother Julia Apel of Sheboygan Falls, sister Joan (Chris) Shircel of Plymouth and brother Larry (Diane) Apel of Sheboygan Falls, other relatives and friends. Funeral services will be held at Noon Tuesday, January 18, 2011 at First Congregational Church, 131 N. Webster Street, Port Washington. Reverend Jeff Suddendorf will officiate. Visitation 10AM-Noon Tuesday AT CHURCH. Interment will be at Wildwood Cemetery, Sheboygan. A memorial has been established with First Congregational Church.